I have been facing issues with dandruff lately since it is the end of winter season. I normally tend to get itchy scalp and dandruff towards the end of winter. I decided to invest in some anti-dandruff shampoos and at the same time, utilize some wondrous natural produces from our garden and ofcourse, the kitchen. So, lt’s get started with this ‘Amla and Hibiscus Hair Pack for Dandruff’. 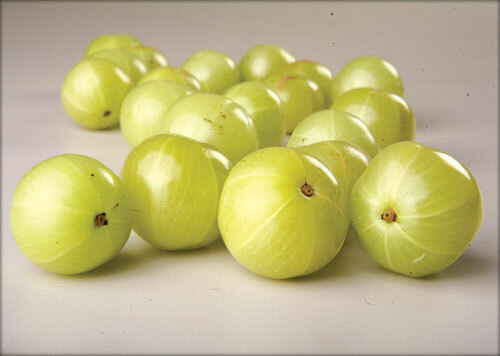 Amla: It is very rich in vitamin C and anti-oxidants. They work well to avoid premature greying of hair, and provide nourishment to the scalp and hair. It also helps in getting rid of the dryness and flakiness of the scalp. 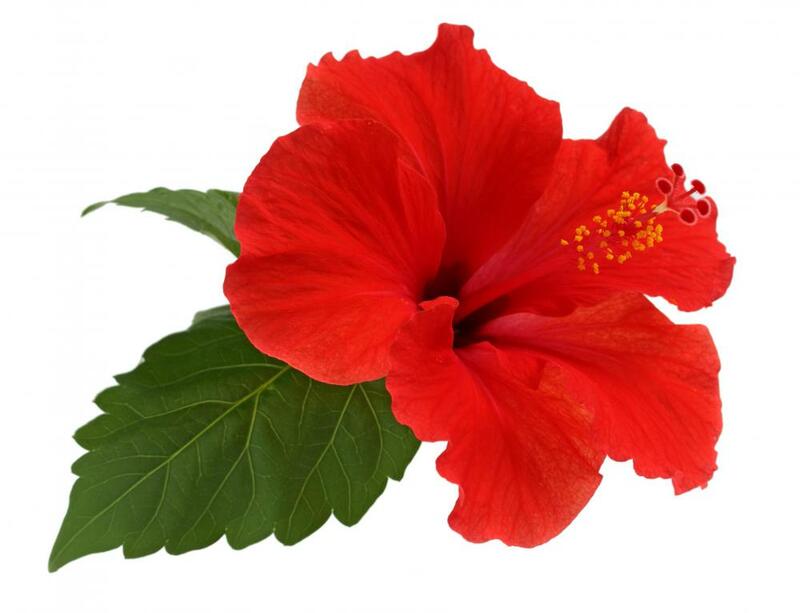 Hibiscus: Hibiscus controls hair fall, and makes them healthier. It is known to be rich in calcium and Vitamin C that facilitates hair growth. Aloe Vera: We all love Aloe Vera when it comes to skin and hair. It treats dandruff and curb hair loss and also helps in restoring hydration. 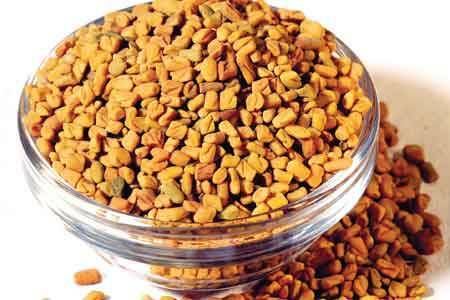 Fenugreek Seeds: They have a wide range of medicinal properties and are also rich in Vitamin C, alkaloids iron etc. These seeds cool down the body and also curb dandruff and prevent hair loss. Collect all the ingredients. I have used about 4-5 Hibiscus leaves and two medium sized amlas. I prefer using wilted flowers since I do not like to pluck the bloomed ones(they look prettier on the plants). 😀 Wilted ones do have the same qualities as the fresh, but it is your preference. Chop the amla, the hibiscus leaves and flowers to facilitate easy grinding. Take out the gel from the aloe vera. Add a little amount of water with all the ingredients and blend them to make a fine paste. Amount of water to be added needs to be controlled, you do not want it to be runny. Add the water at intervals. That’s it. Apply the paste all over your scalp and hair. This takes some time to apply, owing to the texture and you need to pat them gently over your scalp. Leave it for about an hour before washing it with a mild shampoo. I did not require conditioner and my hair was shiny and soft, my scalp free of itchiness. The quantities shown will suffice for short to medium length hair, and they can be varied depending upon the hair length. This pack will considerably reduce itchy scalp and dandruff and will also make hair lustrous and shiny. It also gives a soothing feeling that leaves you relaxed. My mum would always make hibiscus hair pack when I was a kid, and would never use shampoo back then. To make this pack, I did some innovation and added some other stuff for the extra benefits. 1. Fenugreek Seeds can either be soaked overnight or roasted. But, mostly soaking it overnight is recommended. 2. This hair pack has cooling properties. Hibiscus and fenugreek are known to cool down the body. If you are prone to catch a cold easily (Kapha sharira, in Ayurvedic terms) use this pack once in a month and do not leave it for more than 30 minutes. It will work well during summers. My sister also faces dandruff problem towards the end of winter. Will surely make her try this. What kind a mild shampoo are u using Disha. am using Dove intense moisture at the moment. it cleans well… but i am in search of some better kind.